BlackBerry Messenger To Offer Free Voice Calls Over Wi-Fi, Too Little Too Late Perhaps? With countless 3rd-party applications already offering free voice calls over Wi-Fi across multiple platforms including iOS, Android, Windows Phone and even BlackBerry, RIM has finally decided to push out the feature to BlackBerry Messenger (BBM), with an open beta for the new service starting today, reports The Verge. There is already a wide variety of VOIP apps that offer free voice calls, such as Skype, Viber, Fring etc. However, RIM still believes its large BlackBerry user base will appreciate this new integration. For those who are interested in trying it out, the open beta starts today. Initiating a call through BBM Voice is quite simple. 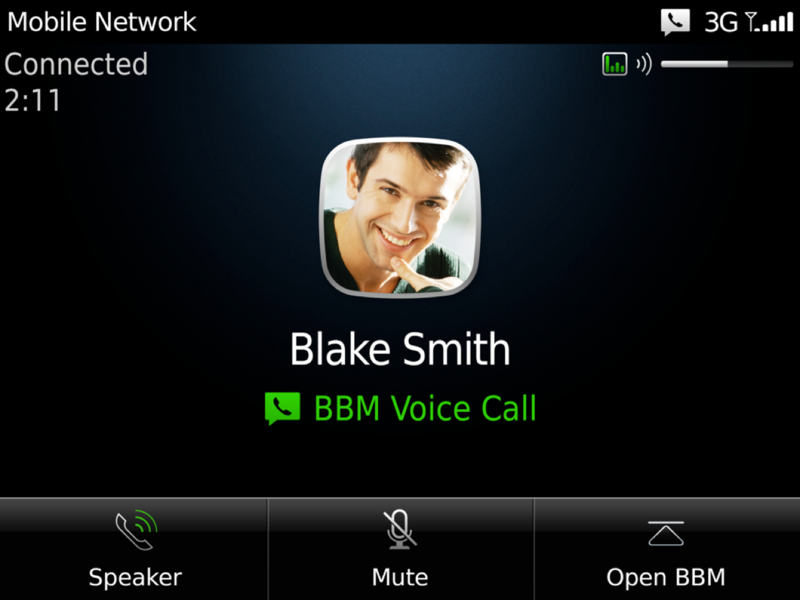 Users will see an icon that represents the voice availability of their BBM contacts, and a simple press of the “dial” key will request that the receiver join a voice call. Once the call is started, users can jump back into chat to send images or other content, will full multitasking available in other apps and full compatibility with speakerphone or Bluetooth headsets. Overall, it seems a valuable addition to BBM, especially for those that frequently communicate with people in other countries, which can be a costly venture with a mobile phone. Unfortunately, it appears there is little chance of this feature working over 3G or LTE networks any time soon — James Tantram, senior product manager at RIM, told us that there are “no plans currently for that capability”. RIM has already confirmed it will hold the BlackBerry 10 launch event on January 30, 2013, introducing exciting new features and a large catalog of apps to the BlackBerry platform.